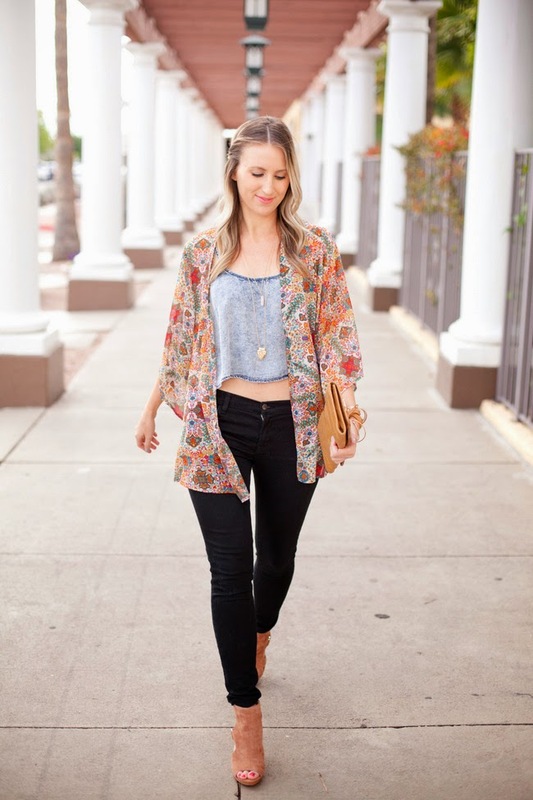 chambray crop | stesha rose. Today is going to be short & sweet as life has been go go go since my mom arrived on Monday. We are off to some spring training games, lots of dinners out at our favorite spots, and of course there has been wine + bachelor finale and the voice each night! BUT before I go.... how much do you love this crop top? I am not always a huge fan of crops (mostly because I am 28 + my stomach doesn't look 21 anymore however I am really into crops that only show a bit of skin like this one. Its $15 from Forver21... score! 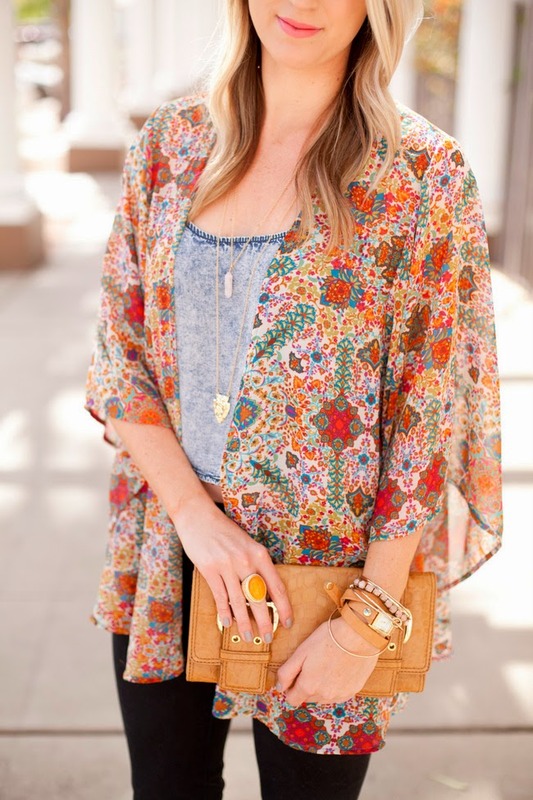 For spring I paired it with a kimono (also worn on the blog HERE & HERE) which gave more of a boho look. 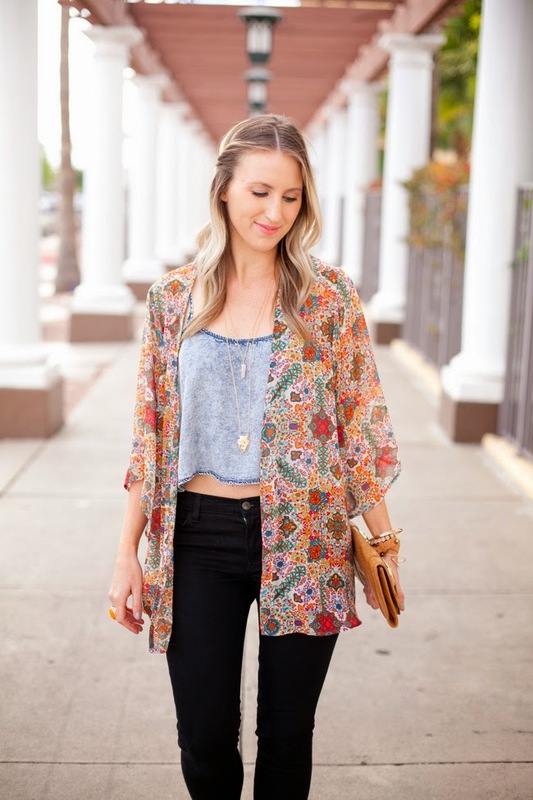 I linked some of my fav kimono's for you too! 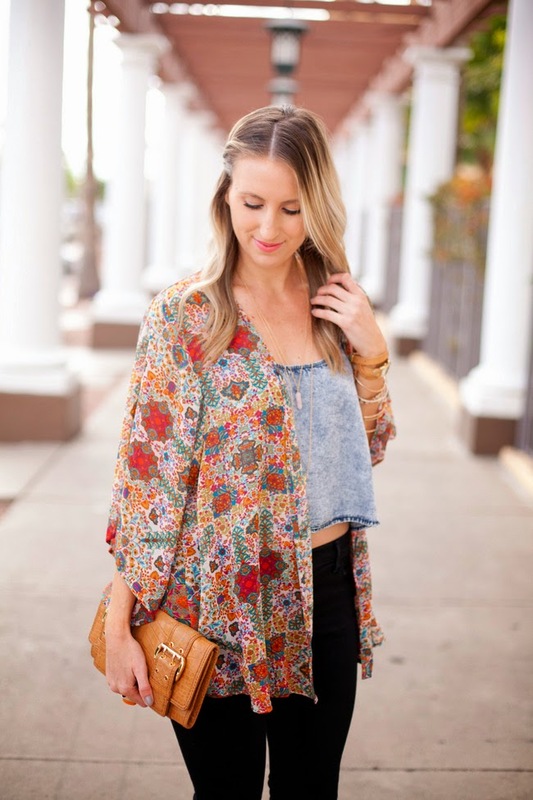 Loving the floral kimono over denim! 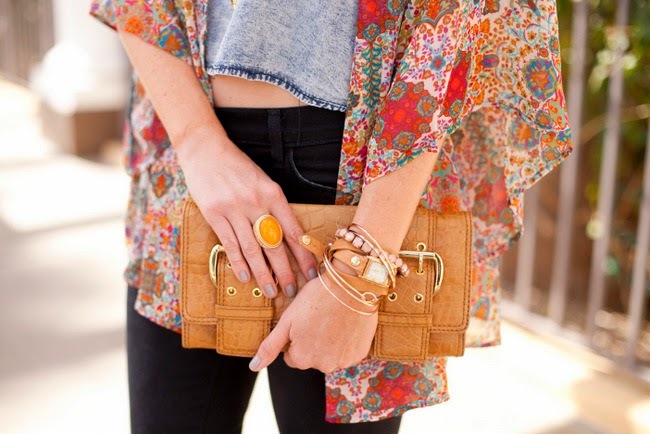 Love the mix of patterns!! This whole look is cute, love it!